At Treybourne Wealth Planners, we focus on helping individuals, families, and business owners at all stages of life achieve their financial dreams. A fee-only registered investment advisor (RIA), we offer customized wealth management, investment management, retirement planning, and tax planning services to our clients in Indiana and across multiple states. With offices in Greenwood, IN and Chicago, IL, where our team has lived and worked for decades, we take pride in the trusted relationships we have built, both as advisors and as neighbors. As CPAs, we have unusually strong roots in accounting and tax planning. We recognize the importance of understanding the tax impact of investment decisions and incorporating the tax impact into overall planning. Our fee structure allows us to remain independent. We act in the best interest of our clients and operate with the highest standards of ethics and integrity. Treybourne Wealth Planners is pleased to announce the addition two long-time advisors and the opening of an office in downtown Chicago, Illinois. "This was a unique opportunity to expand our firm and remain committed to providing the personal service that is important to our clients," said Martin J. Armbruster, CPA/PFS, CFP®, Founding Principal. Read more about this exciting development HERE. To schedule a confidential meeting and learn how we can help you reach your financial goals, call us today at our Greenwood, IN office at 317-449-2040 or at our Chicago, IL office at 312-300-0800. We look forward to meeting you. Each of our client relationships brings unique needs, goals, and financial circumstances. To best serve YOU, which is our daily mission, we want to develop a personal relationship with you and understand how we can develop a plan as unique as you are. Rules and regulations, investment options and technology continue to become more plentiful and complex. We want to help you make sense of the noise that exists. We want to help you focus on decisions that are most important. As YOUR financial partner, we want to hear YOU and learn about your dreams, needs, fears, and concerns. We want to help you make sense of the complexities of your situation to help you become more confident of your financial decisions so that you may live with intention and peace of mind. Let us meet you, either in our office or virtually. There is no charge for an initial meeting. It is important for us to know you and you to know us so we know if we are a good fit for each other. We will discuss how we will work together and how we approach investing. And we will actively listen to who and what you are seeking. If you wish to engage us. Risk tolerance assessment, investment allocation recommendation, retirement planning framework, and any other specific goals that require planning. Treybourne Wealth’s recommendations. Turn planning into action. Your situation annually or at a frequency that is mutually agreeable, and certainly when a life change occurs. Choosing an advisor is important. If YOU are unsure of what questions to ask when YOU meet with an advisor, these guides will help. Prepare for your meeting. Spend some time organizing information so that the unique aspects of your financial situation can be learned and understood. Here is a list of documents Treybourne Wealth will ask you to bring to your initial meeting with us. List of YOUR goals and concerns, both short-term and long-term. Copies of YOUR most recent statements for your investment accounts, including retirement accounts. Estimates of income amounts YOU expect to receive in retirement, such as Social Security or pension income. Summary of debt YOU may have and the following pieces of information about debt: original loan, current debt balance, debt term , interest rate. Idea of living expenses, either monthly or annually. Summary of life, disability, or long-term care insurance YOU might hold. Anything else YOU would like to share that might be pertinent to the planning we would be helping YOU with. Don’t worry if YOU cannot gather all of this for YOUR initial meeting. Although helpful if YOU can gather, the main objective of this initial meeting is for Treybourne Wealth to learn about YOU and YOU to learn about us to see if we can help. Our team is driven to help our clients. We are held to high ethical standards. We put you at the center of our days and decision making. We work to continually develop knowledge so that we are equipped to answer your questions and give you new concepts. We care about your well-being and personal and unique definition of success and that is where we find satisfaction in our days – knowing that we contributed to you achieving that success. This is what drives us to continue our business with clarity and conviction and joy and a strong work ethic. A founding principal of the firm, Martin’s interest in personal financial planning lead him to open the wealth management business. A decision to register with the SEC in 1985 and become an independent investment advisor laid the cornerstone for Treybourne Wealth Planners. 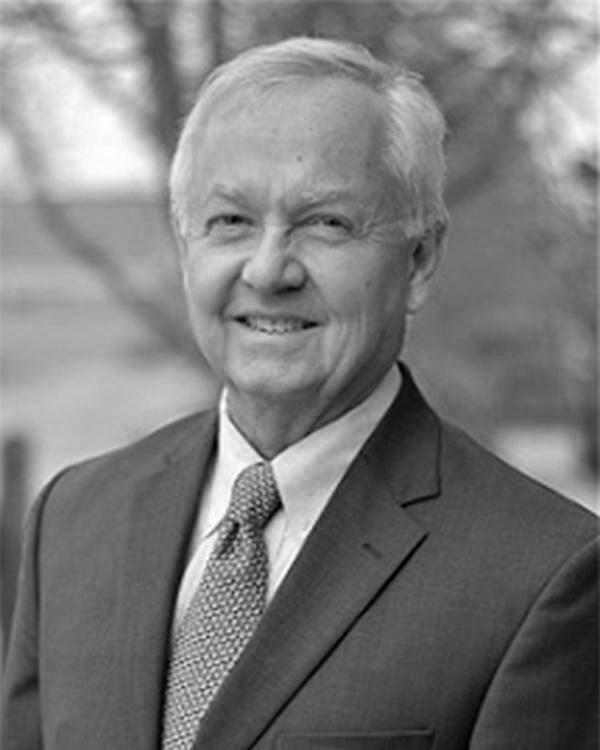 Martin co-founded the accounting firm Sherman & Armbruster, LLP in 1982 but gradually withdrew from active involvement until selling his interest in 2018. Martin previously had worked for a regional CPA firm and had served as Controller of a Southside Indianapolis construction products company. A 1971 graduate of the Latin School of Indianapolis, Martin earned a bachelor's degree at the University of Notre Dame in 1975. He became a Certified Public Accountant in 1978, earned a CERTIFIED FINANCIAL PLANNER® (CFP®)designation in 1982, and was awarded a Personal Financial Specialist (PFS)designation in 1995. He is a member of the American Institute of CPAs (AICPA) and the Indiana CPA Society. 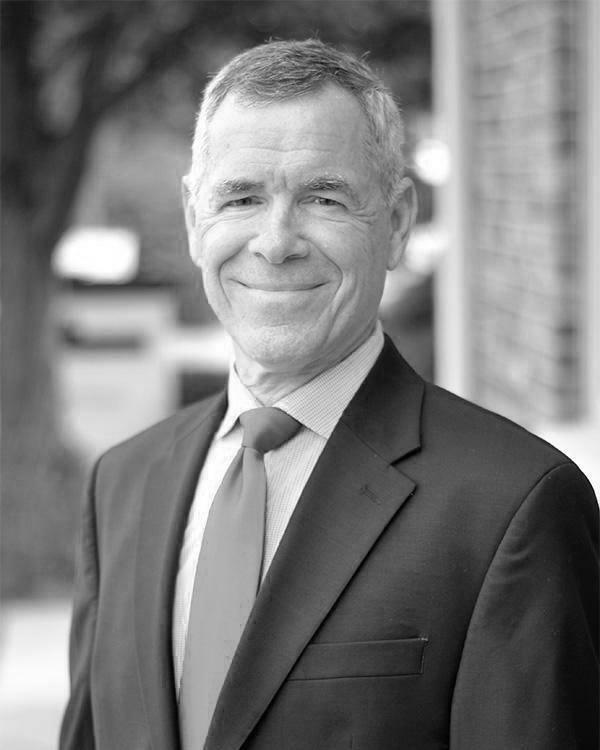 In 2014, Martin was selected to join the All-Star Financial Group, a national association of distinguished CPA's who specialize in financial, tax and investment planning for high net worth clients. All-Star members are a self-selected group of the Nation's top CPA Financial Advisors. Martin has served as President of the Board of the Johnson County Community Foundation and President of the Board at Roncalli High School. He has served on parish finance committees at three Southside Indianapolis parishes and various not-for-profit organizations. He organized the St. Baldrick's Foundation fund-raising event in Indianapolis for eight years, raising in excess of $375,000 for children's cancer research. He currently serves as an investment consultant for the Johnson County Community Foundation. Martin enjoyed coaching his two sons in various sports and remains actively engaged in outdoor activities, including running, biking, hiking and golf. Martin is married to Carol K. Armbruster, PhD. 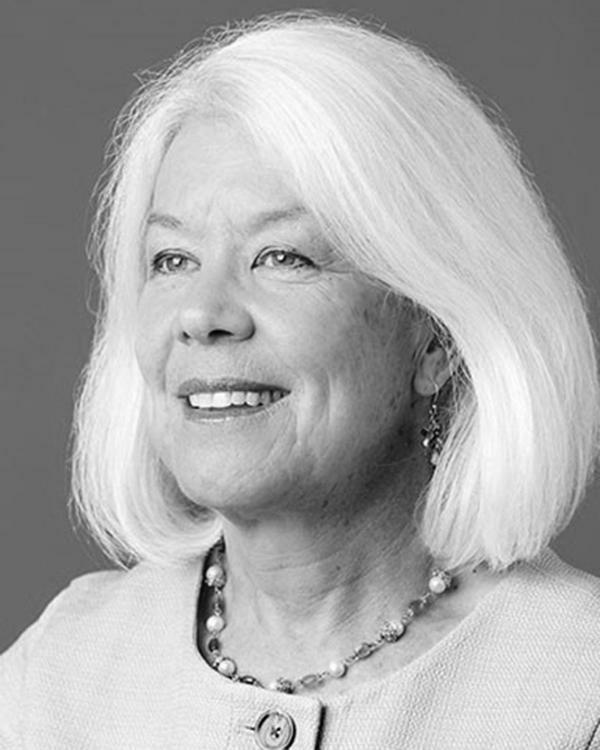 Carol is an author and faculty member at Indiana University. 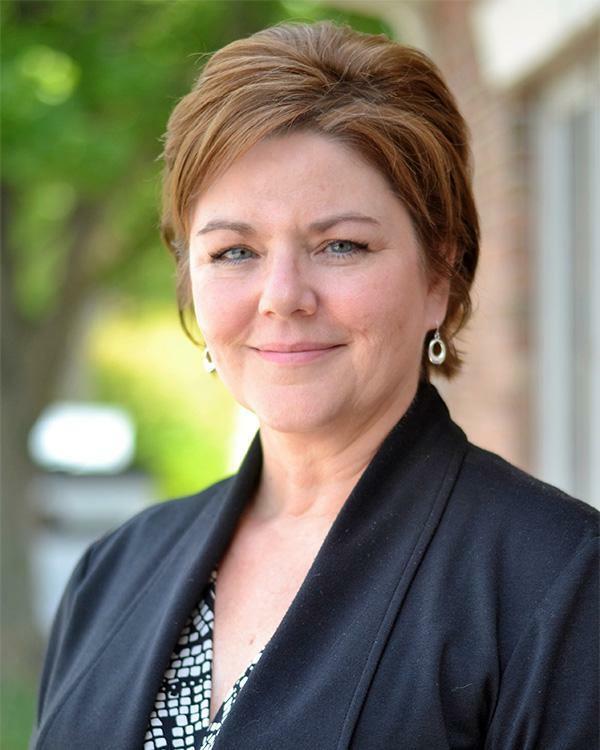 Stephanie began her career as an auditor with RJ Pile, LLC in 1999 after graduating from the University of Indianapolis with a bachelor's degree in accounting. To pursue her interest in wealth management, she transitioned to RJP Investment Advisors, LLP, and co-founded WealthPoint Advisors, LLC, in 2009. Stephanie joined the business now named Treybourne Wealth Planners in 2010 as a principal. 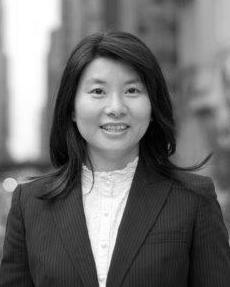 She earned a CPA certification in 2002 and became a designated CERTIFIED FINANCIAL PLANNER® (CFP®) in 2004. 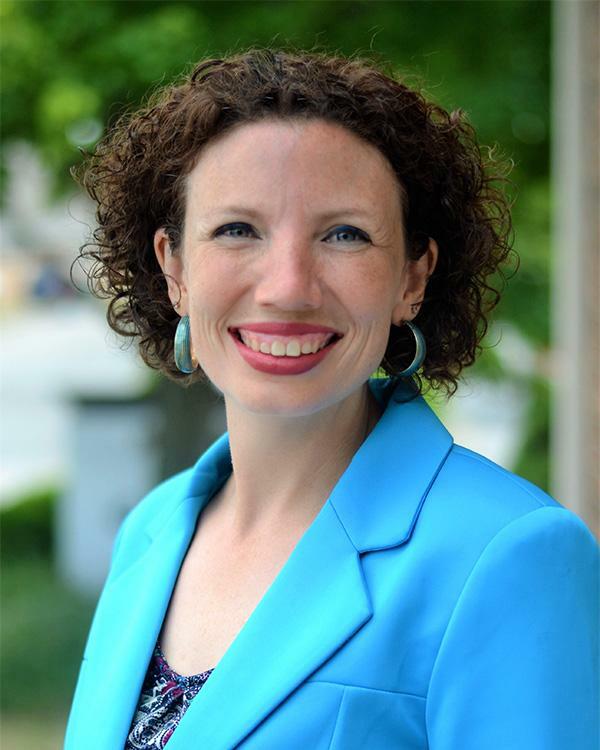 She is a member of the American Institute of CPAs (AICPA), the Indiana CPA Society, and the Financial Planning Association (FPA). 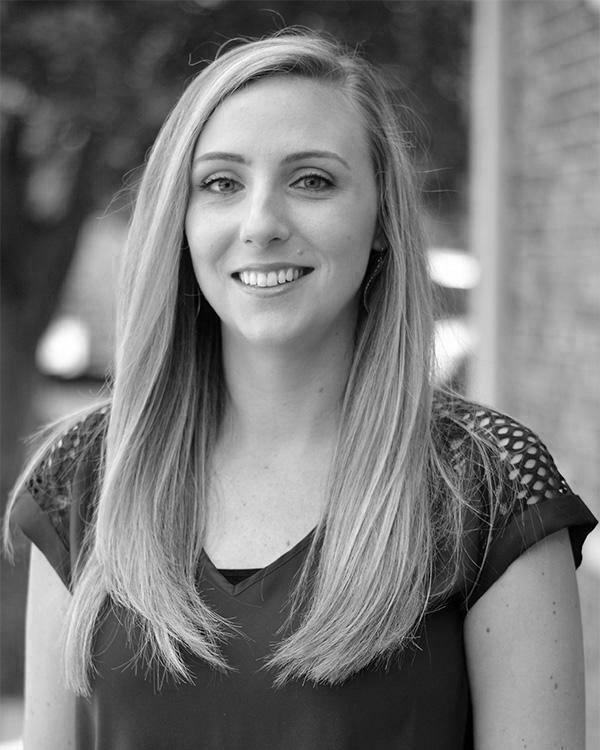 Always committed to excellence, Stephanie received the CPA High Grade Award, and the INCPAS 5 Under 35 Award. 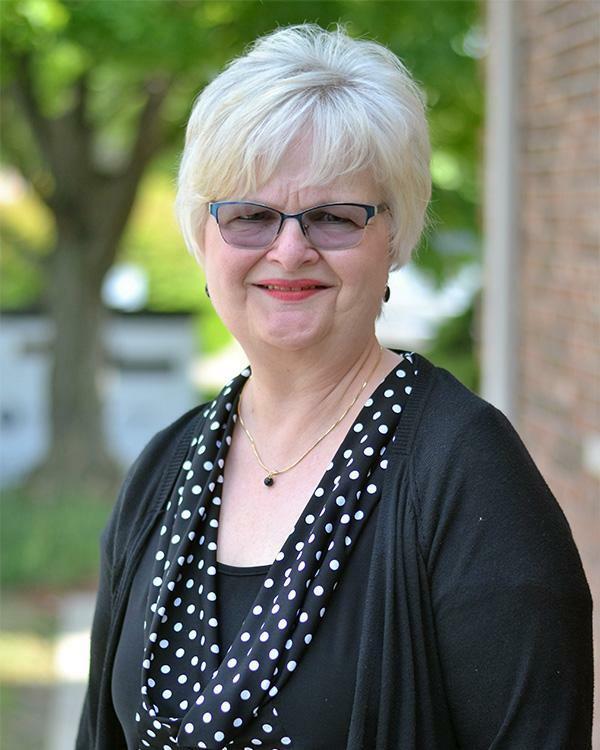 Stephanie served on the Board of Our Lady of Fatima Retreat House from 2011 - 2016 and has been involved in the Alzheimer's Association of Greater Indiana. She served as a leader for the Alzheimer's Association's largest fund-raiser, Memory Walk, from 2003-2009. She was the Walk chairperson in 2008. She also served as Treasurer of the Indianapolis Jazz Foundation. She is a member of Saint Barnabas. Stephanie lives on the south side of Indianapolis with her husband, Scott, and their boys, Sean and Steven. She loves being a boy mom. She enjoys spending time with her family and friends, going on walks, Broadway musicals, and photography. "Look around, look around at how lucky we are to be alive right now!" Our Chief Investment Officer, Tim Voegele, joined Treybourne Wealth Planners after serving as Founder and President of Acuity Financial Advisors. Tim has been investing since graduation from Rose-Hulman Institute of Technology in 1977. In the 1980’s, he earned his MBA (Finance) from Indiana University and in the late 1990’s began to work toward his goal of becoming an investment adviser. He successfully passed the three levels of exams for the CHARTERED FINANCIAL ANALYST (CFA®) and was awarded the CFA charter in 2007. The CFA charter is considered by many to be the most respected and recognized investment management designation in the world. Also during this time, Tim completed courses of study in financial planning, investments, taxes, retirement planning and estate planning from the College for Financial Planning. He passed the CFP® exam in 2008 and earned the right to use the CERTIFIED FINANCIAL PLANNER® (CFP®) mark. Prior to his career in financial planning and investments, Tim worked in engineering, manufacturing and finance roles with Eli Lilly and Company from 1977-2009. Tim recently served as President of the CFA Society of Indianapolis, and was a member of their Board of Directors from 2008-2017. He has served the community in other areas including terms as President of the Center Grove Trojan Band Boosters in 2004-2005 and as Treasurer of Mount Olive Lutheran Church in Greenwood. Tim lives in Greenwood with his wife, Carol. They have three adult children. They enjoy spending time in Florida during the winter months, and like many of the people we work with, are defining and refining their retirement years. "The best way to measure your investing success is not by whether you're beating the market but by whether you've put in place a financial plan and a behavioral discipline that are likely to get you where you want to go." - Benjamin Graham, "The Intelligent Investor"
Following a 15-year career in corporate finance and accounting, which included positions in audit, strategic planning, and operations management, Tracy redirected her focus to working with entrepreneurs. She was raised in an entrepreneurial family and missed the teamwork, challenge, creativity and accomplishment of small business. In 2003 Tracy began her financial services career at Financial Strategy Network to expand the areas of advice that she offered to her small business clients. Throughout Tracy's 13 years in financial planning, her work with families and business owners has allowed her to help them realize their dreams and work through some difficult situations. She has the privilege of being a part of the client’s inner circle when major financial, life, or business decisions are being contemplated. While this role carries great responsibility, it is deeply satisfying work that has become a calling, not just a business. Tracy graduated from the University of Illinois at Champaign Urbana with a Bachelor of Science in Accounting and earned a CPA certification in 1983. She completed graduate studies at Northwestern University earning a Masters of Management in Finance in 1995 and became a CERTIFIED FINANCIAL PLANNER® (CFP®) in 2003. Tracy is a member of the American Institute of CPAs (AICPA), and the All Star Financial Group (ASFG). Tracy splits her time between the Dearborn Park neighborhood of Chicago and Dune Acres, Indiana. She enjoys live music, theatre and spending time with friends and family enjoying nature and outdoor activities. Tracy pursues most outdoor activities including biking, hiking, running and skiing. "Tell me what it is you want to do with your one wild and precious life." Mary Oliver, "The Intelligent Investor"
Chase began her career as a staff accountant in China. After immigrating to the U.S. in 2001, Chase earned her BS degrees in Finance and Accounting at Northeastern Illinois University while studying English as a second language. Her financial services career began in 2004 where she started as an intern at Trinity Financial Advisors. Chase completed her CFP program and passed the exam in 2011. Chase joined FSN/Private Vista in 2011 to work more closely with clients. Chase’s financial services career has grown not only through her work at Private Vista, but also with the Financial Planning Association’s Public Awareness Committee. 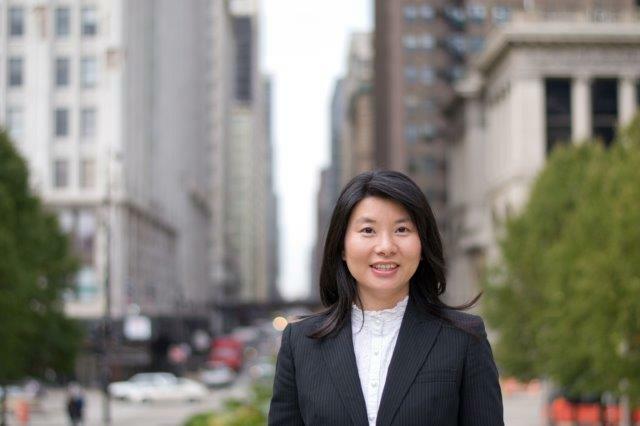 She provided pro bono advice to this group during financial planning week and worked with the Chinese community through Age Options and the Making Medicare Work Coalition. She enjoys the satisfaction of helping others achieve their goals. Chase is passionate about cooking, traveling and spending time in the great outdoors. She is also committed to fitness and spending time with her husband, Daniel, her mother and extended family. Jessica began her career as a staff accountant, preparing individual and business tax returns as well as maintaining bookkeeping for local small businesses. In November 2015, to pursue her interest in wealth management, she joined Treybourne Wealth’s team as a Support Advisor where she assists clients with pursuing their goals and financial success. After graduating from Roncalli High School, Jessica earned a bachelor’s degree in Accounting and Finance with a Minor in Economics through Kelley School of Business in 2011. She is currently preparing for the CFP® exam. Outside of work, Jessica enjoys spending time with her husband, Tyler, and their Samoyed, Isla. She also loves cooking, gardening, spin class and traveling. "Take time to do what makes your soul happy." Serving as a member of our operations team since 2012, Carol Cooney works diligently to maintain Treybourne Wealth’s portfolio management software. She reconciles client accounts daily into our portfolio management software. Carol assists with developing and monitoring Treybourne Wealth’s compliance program, and she communicates compliance policy to management. Part of her responsibility in the compliance area includes ensuring timely filing of regulatory documents. Carol also maintains books and records for Treybourne Wealth. She enjoys the challenges resulting from the level of detail required in Treybourne Wealth’s day-to-day operations. Carol began her career in life insurance sales support in 1984, working for Dan Hoyt and Associates. While working with Dan, Carol became a licensed insurance agent and enrolled in St. Mary-of-the-Woods College to complete her bachelor’s degree in social sciences, graduating in 2001. Carol and her husband, Mike, live in Greenwood and are members of Saints Francis and Clare Catholic Church. They have two sons, Jim and Eric, and 4 grandchildren. Carol enjoys spending time with family and friends, reading, and quilting. The Memorial Quilt hanging in the Narthex of Saints Francis and Clare Church is one of her most treasured and recognizable quilting creations. "To laugh often and much, to win respect of intelligent people and the affection of children; to earn the appreciation of honest critics and endure the betrayal of false friends; to appreciate beauty; to find the best in others; to leave the world a bit better whether by a healthy child, a garden patch, or a redeemed social condition; to know even one life has breathed easier because you have lived. This is to have succeeded"
Tami has been with the firm since 1998. She enjoys being part of developing and maintaining client relationships and is constantly striving to find more efficient ways to facilitate office procedures and client service. She enjoys spending time with her two sons, daughter-in-law and her cat, Lucky. She is interested in anything to do with the alternative healing arts, spirituality, psychology, and motivational/inspirational topics. She appreciates good music, good food, good wine, good company, and a good laugh (not necessarily in that order). As your wealth planners, Treybourne Wealth designs its services around supporting your financial needs and questions throughout every phase of life. Where can we help you? 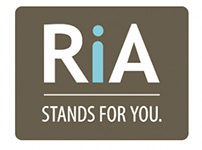 What is a registered investment advisory (RIA) firm? As a registered investment advisory firm, Treybourne Wealth Planners, Inc., acts in a fiduciary capacity-which means we put the interests of our clients ahead of our own interests. Under the Investment Advisers Act of 1940, any firm that is engaged in the business of providing financial advice for a fee is considered to be an “investment advisor.” These firms are required to be registered with the appropriate federal or state agency. As such, Treybourne Wealth Planners, Inc., is registered with the Securities and Exchange Commission (SEC). What do our credentials mean? 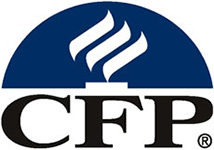 CFP® (Certified Financial PlannerTM) - CFPs have completed university coursework and passed a 10 hour exam covering nearly 90 topics. For more information, visit www.cfp.net. CFA® (Chartered Financial Analyst®) - CFAs must pass three exams, each of which demands a minimum of 250 hours of study and includes corporate finance and financial statements. 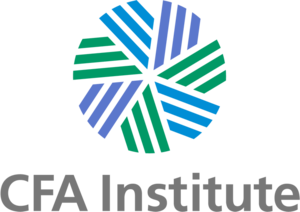 For more information, visit www.cfainstitute.org. PFS (Personal Financial Specialist) - PFSs are certified public accountants who specialize in personal financial planning. 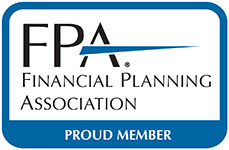 The credential requires a detailed exam and significant financial planning expertise. For more information, visit www.aicpa.org. 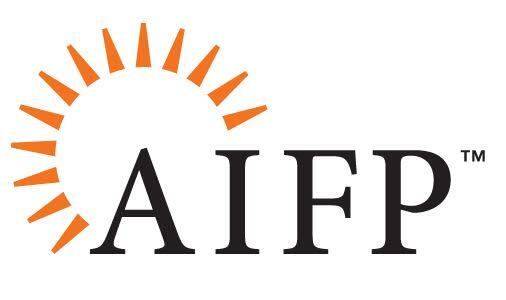 AIF® (Accredited Investment Fiduciary) – AIFs must meet a combination of educational, experience, and professional development milestones, including coursework, an exam and regular continuing education. The AIF® credential is issued by the Center for Fiduciary Studies and indicates a thorough knowledge of and commitment to fiduciary practice and standards. For more information, visit https://www.fi360.com. Why choose a fee-only wealth planner? A fee-only wealth planner is compensated solely by the client. Commission-based advisors receive commissions from product sales, such as insurance and investment products. Often these products may offer a high commission but may not be best for you. We put your interest first, always. We receive no commissions from any investment, insurance, or other financial product we recommend to you. Our only source of compensation is the fee you pay us, ensuring that you get objective advice about your finances. Can I use just one of your services? We offer solutions using a consultative approach, with the goal of simplifying your financial life. Typically, coordinating your investment portfolios and wealth planning is the best path to achieving this goal. While the majority of our clients seek both services, when appropriate, we are able to unbundle our services and provide only investment management or wealth planning to meet your needs. I consider myself to be financially savvy. Do I need a wealth advisor? Did you know that the majority of all millionaires have hired the assistance of a planner? These highly successful and disciplined people know that accountability is vital to success. However, many people with the knowledge and experience to manage their own assets will procrastinate when it is time to make a decision. Often, their needs take a back seat to jobs or family. We add value not only by helping you develop a plan, but also by implementing and adjusting it when necessary. Our knowledge and accountability as a financial advisor can help you take the necessary actions to meet your goals.